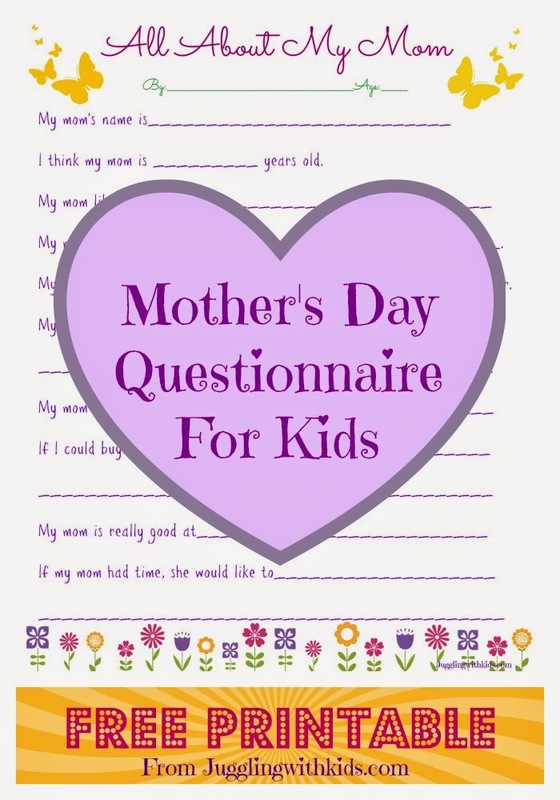 I always loved the cute little questionnaire from the kids that the preschool teachers filled out for us for Mother’s and Father’s day. I’ve always had a good laugh at some of the answers, but some of the answers were also very sweet. Now that I am a preschool teacher myself, I wanted to do the same for all the moms of my students. As I am interviewing my students, I am definitely getting a kick out of some of the responses. I hope you enjoy using this free printable with your students or child(ren) as well. Don’t know what to buy mom for Mother’s Day? Make this cute Personalized Gift Card holder!